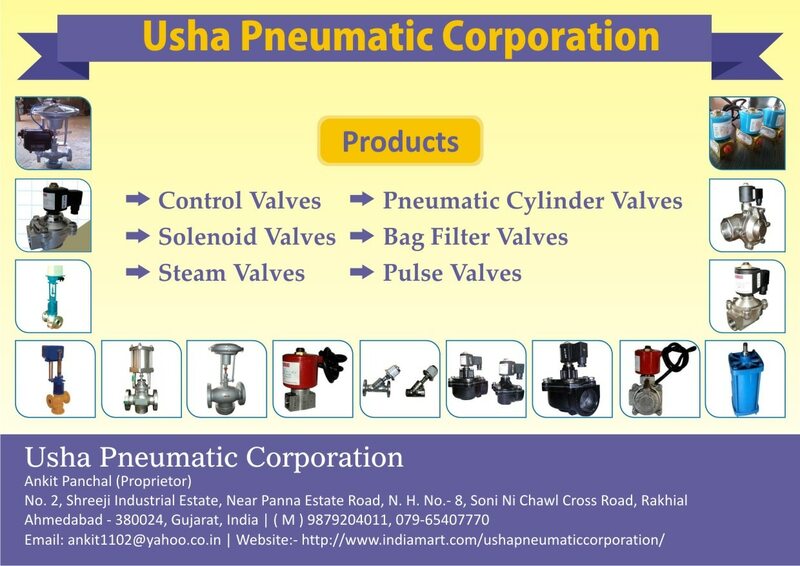 We are leading manufacturer of All type of Solenoid Valve like Pulse jet Valve, Diaphragm Valve, Direct Acting valve, Pneumatic Cylinder, 'Y' Type Control Valve, Motorised Control Valve, Diaphragm Operated Control Valves, Cylinder Operated Control valve and many More. Our product DIRECT ACTING SOLENOID VALVE are designed in a manner to keep regularly matching the requirement of the industry. It is easy to use and having high durability in performence. Also it easy to install.